What is the Proper Water Temperature for Washing Dishes? Water temperature when washing dishes should be very hot. Try to get the water hot enough so that it is uncomfortable for your bare hands to be submerged for very long. Your hands probably can't tolerate water over 110-115 degrees. 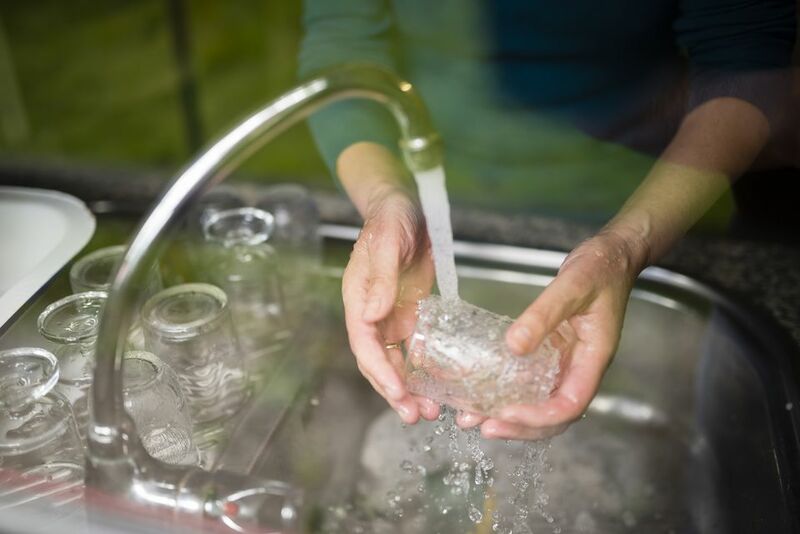 To help you use the hottest water possible,try wearing dishwashing gloves. They will protect your hands and allow you to use water at the proper temperature. Remember to change your water when it becomes dirty and cold.